Auto locksmith For Gloucestershire, Herefordshire & The Forest of Dean. Welcome to Newent Autolocks. As the name suggests, we are alocksmith fors cars and other vehicles. On hand to help you with any car key problems you may have. 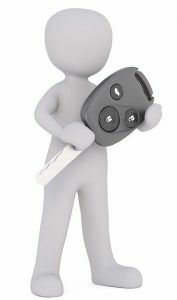 We specialise in replacement car keys and remote / transponder programming for all types of vehicles old and new. Newent Autolocks cover all areas of Gloucestershire, Herefordshire and the Forest of Dean. Whether you have lost your car keys or had them stolen, broken your car key in the lock, or simply locked your keys inside your car, all of which can be frustrating and stressful. Newent Autolocks offer a mobile service with rapid response times at a fraction of the cost of main dealers prices. If you are locked outside of your vehicle we can be with you, in most cases, within the hour. Emergency Call Out? Need our Help? or contact us for a free quotation. Our mobile unit can be brought to you. 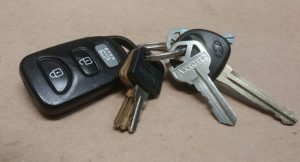 If you want a spare car key cut in your lunch hour, or you’ve lost your car keys while shopping, Newent Autolocks will have your back. Removal of any snapped car keys from your door locks and copy you a new one on site. Vehicle access using auto entry tools which are fast and non-destructive . Locks upgraded to new and current insurance specifications. Car keys cut at your home or work. Please note this form collects your personal details to respond to your enquiry. Please accept marketing cookies to view Facebook Page Timeline. Gloucester, Cheltenham, Cinderford, Cirencester, Coleford, Lydney, Ledbury, Newent, Pershore, Ross on Wye, Tewkesbury, Newnham, Mitcheldean, Parkend, Huntley, Tetbury, Dursley, Stroud, Stonehouse, Northleach, Brockworth, Stow on-the-wold, Hereford & Bromyard.